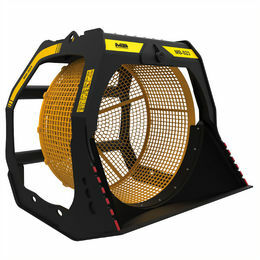 BF120.4 S4, Ideal for large projects - MB S.p.A.
A large bucket to ensure great results. 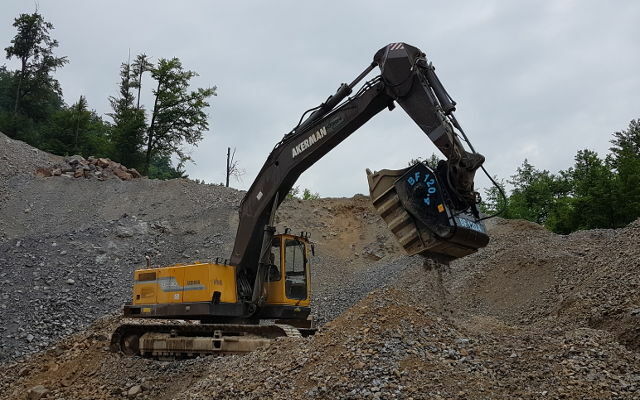 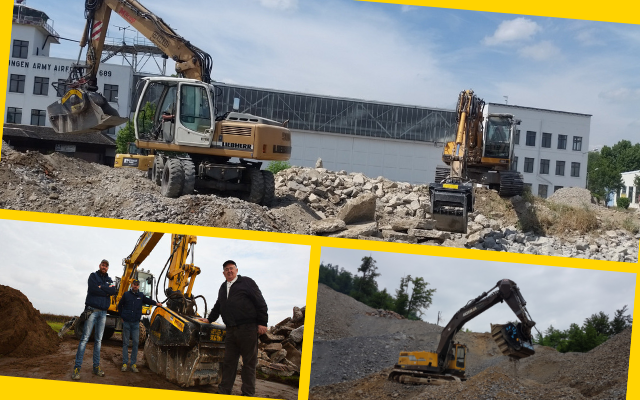 The BF120.4 is suitable for excavators weighing more than 66,200 lbs, and was created to meet the specific needs of crushing in quarries and landfills for aggregate recycling, in large job sites to reduce the volume of materials resulting from demolition work. 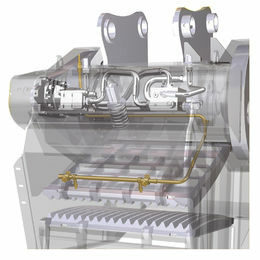 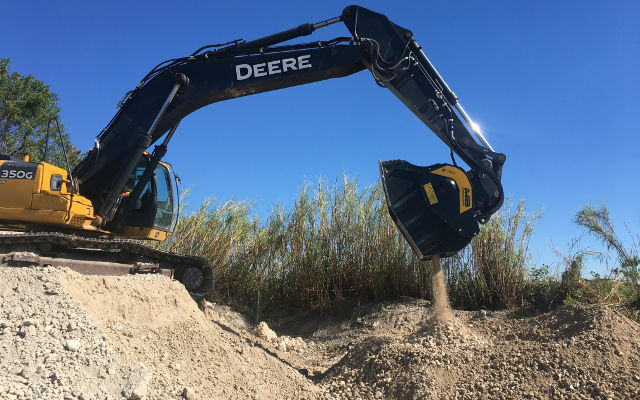 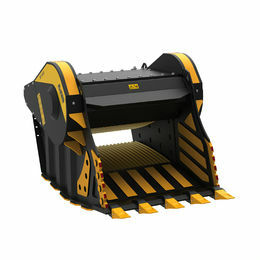 With a productivity of more than 65 cubic yards per hour, a capacity of about 1.7 cubic yards, and a total weight of 10,582 lb, the BF120.4 crusher bucket is an effective machine that has established itself as the premier crusher in the crushing field in just a few years.